Global investors and local entrepreneurs planning to set up a company in Thailand need to have full understanding of the basic procedures, documentary and financial requirements, and Thai laws and legal practices enforced by the government pertinent to company and business registration in Thailand. The most popular form of business structure in Thailand is a Private Thai Limited Company. A Thai private limited company allows separate division between investor’s body and managerial body. Also, in setting up a business in Thailand, registration of a Thai private limited company, should comply to the requirement of providing business capital divided into equal shares with the shareholder’s liability limited to the share amount they hold. A company setup in Thailand registered as a private limited company requires a minimum of three promoters to file for a memorandum of association with Thai Ministry of Commerce, to convene a statutory meeting, to register the private Thai limited company and obtain a company income tax identity card. This business structure is similar to the business structures in other developed countries giving business people a familiarity with the procedures and requirements for business registration. Shareholders in a private limited company has limited liability – a shareholder will only lose whatever capital they have invested in the business, unlike in other structures where the shareholder is bound to lose more in worst case scenario. Thai private limited companies offer a number of ways of generating profit. One can be from double taxation where both the company’s earnings and the shareholders’ dividends are taxed but can be altered by rolling profits into the salaries of directors and shareholders. All the rights and obligations of all directors, shareholders or promoters are clearly set out in writing, guaranteeing clear understanding of each one’s legal standing within the context of company structure. All legal entitlements and responsibilities are spelled out in specific terms in writing, available for reference as and when necessary. With such benefits resulting from the government’s thrust of encouraging and promoting foreign investment in the country, the procedures for business registration in Thailand has been tremendously streamlined and shortened. 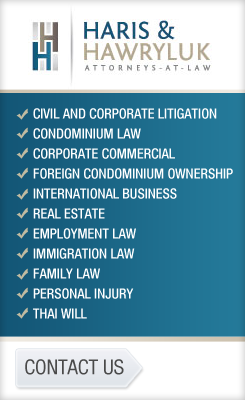 The following are the basic procedures observed and followed in the registration of business or company in Thailand. Reservation of proposed company name. This is the first step of the registration process. Guidelines released by the Business Development Office of the Ministry of Commerce spell out the procedure in reserving a proposed business or company name. Filing of a Memorandum of Association. The shareholders, directors or promoters of a Thai private limited company will file a Memorandum of Association with the Ministry of Commerce. Convening of statutory meeting. A Statutory meeting shall be held, fully documenting all appointments made – officers, directorship, etc. Company Registration. For local companies, registration is with the Department of Business Development while foreign companies need to register with the Board of Investment.